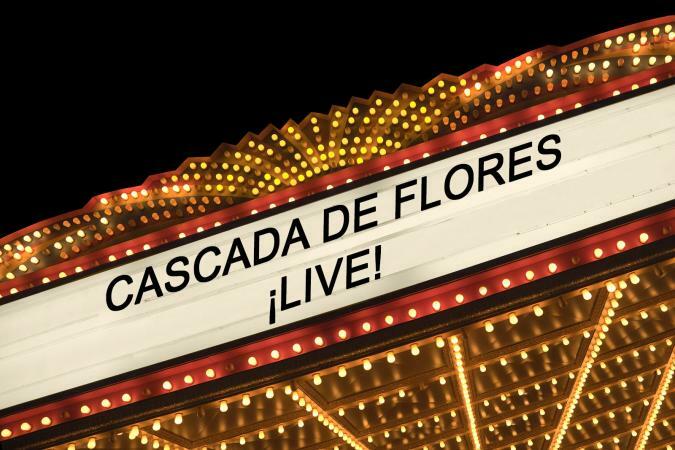 The best of modern folkloric music can be found emanating from West Coast, by the indie band Cascada De Flores. More than music, Cascada brings captivating rhythms and dance to audiences. You do not have to be a Latin music fan to find the soul-touching music enthralling. Cascada de Flores (which means "Waterfall of Flowers" in Spanish) is an ensemble that performs the folkloric music of Mexico and Cuba. The quartet originated in the Bay Area, starting as a trio. They take the roots of their music seriously, traveling to Mexico and Cuba to study musical forms and adapt Latin folk music in fresh ways. Sabra Weber: Sabra provides vocals, flute, marimbol, donkey jaw and maracas to Cascada. She holds a Bachelor of Arts degree in flute performance, and has completed graduate work in the same. She was a founding member of the Seattle Charanga orchestra Yerba Buena. She has traveled extensively and has studied music and dance in Cuba as well as the United States. Arwen Lawrence: Arwen is the prima vocalist of Cascada. She also plays guitar, jarana and claves. Her degree from UCLA in Latin American Studies was the start of her career in Mexican music and dance interpretation. She was formerly a member of the Los Angeles-based Mariachi Los Camperos de Nati Cano. She has performed with several Ballet Folkloricos and currently teaches Mexican song and dance in the Bay Area. Jorge Liceaga: Jorge is a native of Mexico City where he studied ethnomusicology and became an accomplished flamenco guitarist. HE plays guitar, tres, guitarra de son, bajo sexton and verse for Cascada. Jorge also composes and arranges music and has created the children's music project Grupo Kato. Currently, he musical director and guitarist at Virginia Iglesia's Flamenco Dance Company. Jorge Mijangos: Jorge, of San Cristobal de Las Casas, Chiapas, Mexico, is the newest member of Cascada. His talents with many instruments including the guitar, tres, jaranas, cajón, verse and baritone guitarjón have enriched Cascada's sound. He has performed extensively across Mexico and the U.S. In addition to performing, he is an accomplished luthier and specializes in creating musical instruments from Veracruz. You can visit the Cascada website for information on their existing and upcoming CDs and live venues. The group regularly plays in the San Francisco bay area and Santa Barbara and travels to shows in other locations.